East End Books Ptown is happy to welcome Sudi ( Rick) Karatas "Rainbow Relatives" to Provincetown for a talk & book signing Sunday July 29th at 6 pm. An entertaining guide for parents, uncles, aunts, teachers and other trusted adults to find the language and methods to discuss with children (ages 3 to 16). It’s a lighthearted and inspiring book, not a scientific one. Film maker, Del Shores, (Sordid Lives) speaks of raising two daughters as a gay dad. Bruce Vilanch (Hollywood Squares) talks about being “Godfather” to 40 kids”. Country singer Chely Wright speaks about some of the battles still being fought. Another woman recalls how she explained to her children their father is gay. While there’s a comedic side to the book with chapters like: There Was No Monster In Your Closet but Your Uncle Was, and “Kids, Your Father, Well, SHE has Something To Tell You, and Daddy Left Tommy For Mommy, many serious issues are also discussed like bullying, and being more accepting of all people and families. 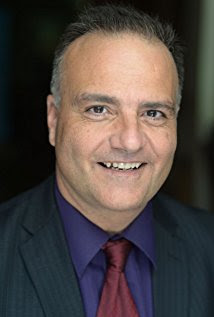 The author of the book Sudi ( Rick) Karatas is also a screenwriter and his film Walk A Mile In My Pradas, Starring: Tom Arnold, Dee Wallace, Mike Starr, Bruce Vilanch is now available.